Until we get to see the next flagship smartphone from Samsung that is expected to arrive in September, the two most desirable handsets from the company are the Galaxy S4 and the Samsung Galaxy Note 2. Both handsets can appeal to certain users when thinking about a lifestyle choice depending what is needed from a smartphone. While the Samsung Galaxy Note 2 is beginning to age a little in smartphone terms at least it is still an excellent handset, and it even seems the device may be in line for a slight refresh with a new processor if reports we heard earlier today are anything to go by. The Note 2 sports a lovely 5.5-inch touchscreen display that is ideal for using the device for work when checking out emails or other content, and can also be really useful for the mobile gamer taking advantage of that larger display. That is not to say that the Samsung Galaxy S4 and its 5-inch display isn’t great for gaming as well though, but for some users for day to day use the Galaxy Note 2 just may be a little too big especially when it comes to carrying it around in a pocket or handbag. It may come down to a lifestyle decision and what the handset is going to be used mainly for on a day to day basis, but personally I picked the Galaxy S3 over the Note 2 because at the time I felt it to be a little too big for my needs. Trouble is I soon got used to the 4.8-inch display on my device and wished I did choose the Note 2, so later this year I plan to purchase the Galaxy Note 3. For many users the Note 2 has proven to be the perfect device and helps them do away with the need of carrying around a tablet all the time as well as a smartphone. As like many things in life it will come down to a personal choice when picking what is best, and for many it could be down to be able to still easily check business matters even when not at work which could mean the Note 2 down to the larger display and the option of using the excellent S Pen stylus. Obviously at the moment the Galaxy S4 has certain software features the Note 2 doesn’t have, but most of these should be arriving in the next firmware update that is released for the device, although you would have thought the Note 2 will stop being updated a while before the S4 does. 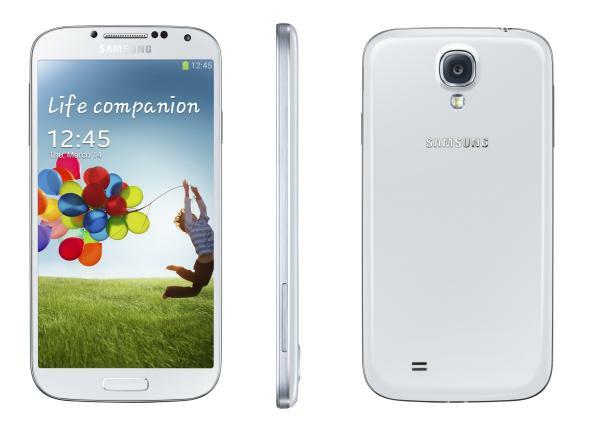 The Samsung Galaxy S4 meanwhile is still a great smartphone with some great specifications and features, and for many consumers a 5-inch display is the sweet spot in terms of size on a smartphone. Which handset would you choose between the two? I used to own the Note and Note 2. And I said I would never get a smaller device. Now I own the HTC One. Love the phone. I didn’t think the screen would be big enough. But it is. I bought an 8 inch tablet though, so that was a factor. As someone who bought the s4 for my wife and had the note 1 & 2, I disagree. HTC has a much more sophisticated interface. I much prefer the multitasking on HTC one. Blink feed is sweet. And I find HTC has the best lock screen for a business user. And the build quality is higher. Samsung makes great phones, but I find most of the features gimmicky. The HTC one is the only phone I haven’t rooted or even installed a custom launcher. Could you be more specific and give some examples of the features you’re talking about. Btw which HTC are you referring? Ugghhhh…….these are the two phones I am trying to decide between. I love both of them. 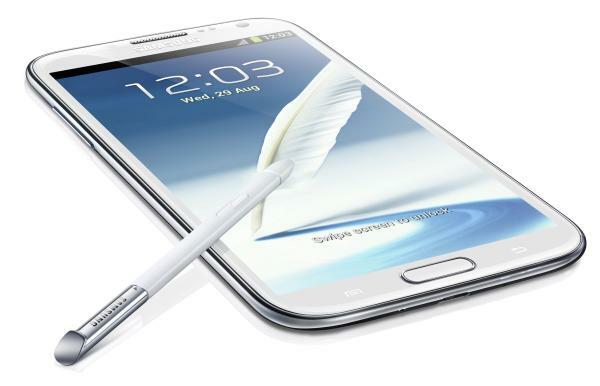 I will probably go for the Note 2 just because of the larger screen size. My hands are huge, and I always wear cargo shorts, so the larger phone is not a problem as far as holding and storing in a pocket. You can’t go wrong with either device!